I’m cooking at the home show this weekend so come see me if you are in Auburn. If you can’t make it to the home show, I will be in Roseville for 2 cooking demos each day, Saturday and Sunday – oh, and I have tickets! 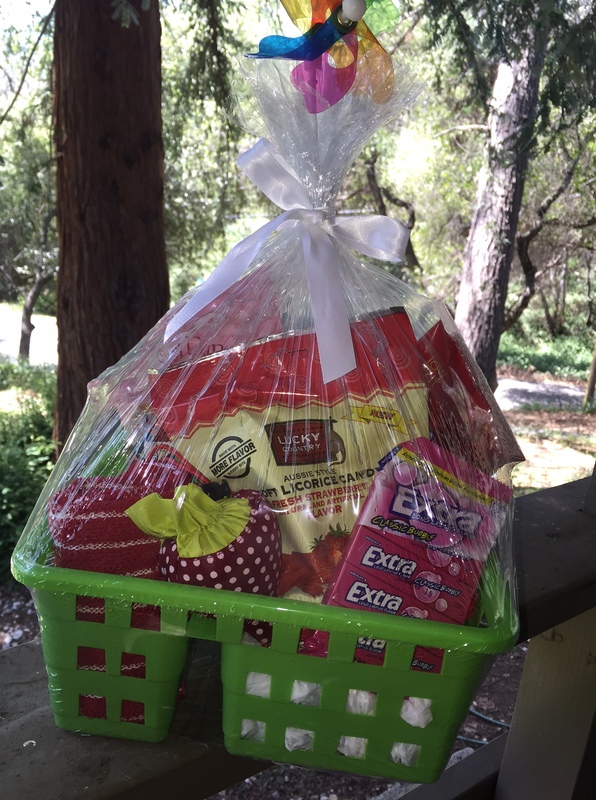 This basket is full of fun strawberry candies, a few kitchen towels and a family 4 pack of tickets! May 9 & 10 at the Placer County Fairgrounds. *Leave a comment on this post about what you love about strawberries and I’ll pick a winner (randomly) on Tuesday so I have enough time to get your prize and tickets to you. If you like BerryFest on Facebook and leave a comment that you like them, I will give you another entry! I’m sure you already like my page, right? Mason Made on Facebook, like me if you don’t already! *If the winner is from out of town and cannot attend BerryFest in Roseville, the basket will be shipped without the tickets (may have to be slightly disassembled for shipping) and a local winner will be chosen for the tickets. Ready to be a winner! Love, love, love strawberries! My favorite fruit!!! Good luck at the Home Show, love hearing about your adventures! You GO Mason! Oh and pick me to win! Your going to rock it at your demos. Can’t wait to try them. Is this how I get entered to win? Cause I’ve known Mason a really long time and how far he has come as a kid chef is truly inspiring! We love Mason Made and his really cool momma too! I’d love to win the basket. Thanks!